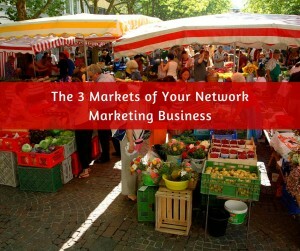 Understanding the 3 markets of your Network Marketing Business are essential to building and maintain new blood in your business. When I talk about markets here I’m not referring to things like Health and Wellness, Travel, Cosmetics or the Industry you are in. What I’m referring to is the type of market that you are prospecting. In the past, I was always taught that there were only 2 types of markets to approach. Your Warm Market and the Cold Market. 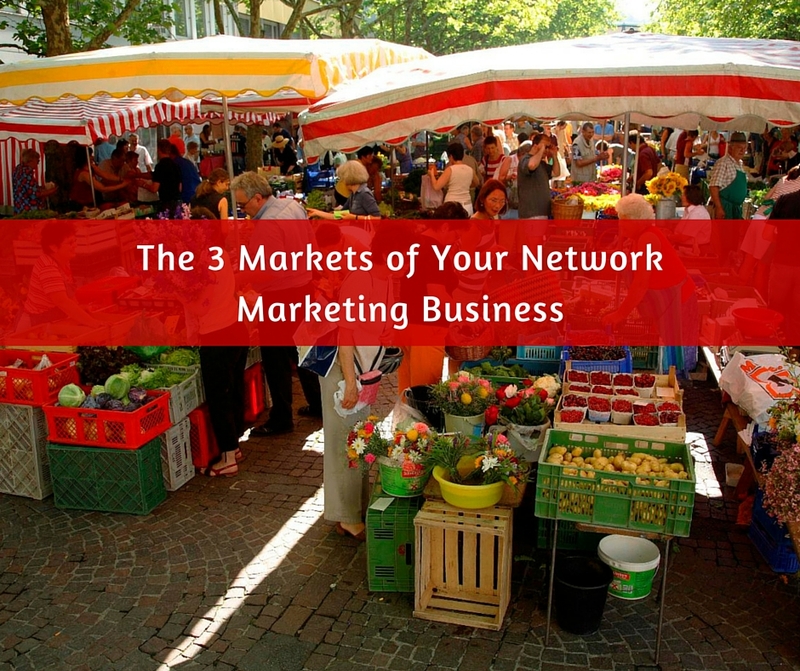 I want to tell you that now in this age of online marketing there are really 3 markets that you need to be aware of if you are going to build your business big. Understanding these markets will help you to better understand how to approach people depending on what market they fall under. This is what was called your warm market in the old days of traditional marketing. These are the people that we know very well and they know us very well. The people that fall into this category are our family and close friends. The reason I call them your Hot market is because they are typically the people that are not afraid of giving you their un-edited opinion of what you are doing with your life. These are the people that will either fall you to the ends of the earth or try to save you from yourself because they know better. This group can be the hardest to prospect and present your Network Marketing Business to because of this Hot relationship. We tend to be very tied to the outcome because they are family and close friends. We don’t want them to think less of us and we want them to be excited for us and want to join us on this journey. I have found over the years that with this market group I have better luck approaching them with my product first instead of hitting them right up front with the opportunity. Sharing the product that I have had great results from is no different then sharing my review of the latest movie or restaurant that I went to. Remember this group can either be your easiest and funniest group to prospect or the most emotionally charged group to deal with. Either way, you need to learn to NOT be tied to the outcome! This is another familiar marketing group, the Cold Market. This group is comprised of those people who know literally nothing about you and you know very little if anything about them. This group of people can be some of the easiest to prospect because we typically don’t have any emotional tie to them. As long as we again remember NOT to be tied to the outcome or results this is a great market. The other great thing about this market is that is never ending. You will have an unending supply of Cold Market prospects as long as you go about living your life and meeting new people. That all said these can be the hardest to approach because they don’t know you from Adam. They have no reason to trust you or believe anything you are telling them. If we remember that people do business with those that they know, like, and trust this is a challenge with this market. You are going to need to take some time to develop at least some rapport with your cold market prospects so they can feel a little connected to you before they make a decision one way or another. Using the old F.O.R.M. (Family, Occupation, Recreation and Money) approach is a quick way to establish a small bit of rapport with your cold market prospects. A lot of times you just don’t have time for a long conversation and all you can do is present them with an opportunity to watch a video or look at some material and then schedule a time to follow up. However you approach this category you will find that it can be very rewarding or very frustrating. Things will change as you get better and better at approaching and closing this group but it’s going to take time and practice. This is the new Warm Marketing with the introduction of online marketing and Social Media. This group comprises of those people who you have met online and are developing a relationship with. This is NOT your family or close friend at least at this point, you never know. With the introduction of Social Media, we are constantly meeting new people that start out being in our cold market or even better they are reaching out to you because they have seen you out there in cyberland and want to get to know more about you and what you do. I consider this your Warm Market because both sides typically know enough about the other to chat about most things in life. They are typically not as close as your hot market to start but you have established a good rapport with them and they probably know, like, and trust you at this point. The good news is that your warm market has just expanded to a much greater market than it was in the old days without the internet and Social Media. The challenge that most people have is that they have no idea how to cultivate this new market. Have you ever had that new friend on Facebook that is constantly post their company link all over the place just hoping someone will be amazed and join their business. Please don’t be that person! Cultivating relationships online are really no different than in the face to face the real world. You need to take the time to get to know them as a person before you start with the pitching. In fact, I would recommend that before you ever give out your company link you wait til they ask you! If you develop your relationships right with this market you will be very surprised how many people will be coming to you and asking YOU what you do and how they can find out more. I hope this has given you some new insight into the markets you will be dealing with in your Network Marketing Business. I will tell you there are two very important keys to working with these markets. First, unless you are in the hot market you need to take the time to develop each relationship. Always remember that people do business with people and that is so very important. Second, you need to divorce yourself from the outcome. Network Marketing is most certainly a numbers game and not everyone you talk to is going to buy your product or join your team those are just the facts. If you are so married to the results you are going to have a very frustrated career in this profession. I wish you the best of luck in your business and can’t wait to see you on the beaches of the world!